Last Monday, Jeremy Brown, the British Minister of State at the Foreign and Commonwealth office, visited our little shop in Daikanyama. He was visiting Tokyo in the wake of the earthquake in March, which caused such devastation in Japan. His mission, organised by the British Embassy in Tokyo, was to investigate British companies who, in spite of the unfortunate events, have managed to thrive. 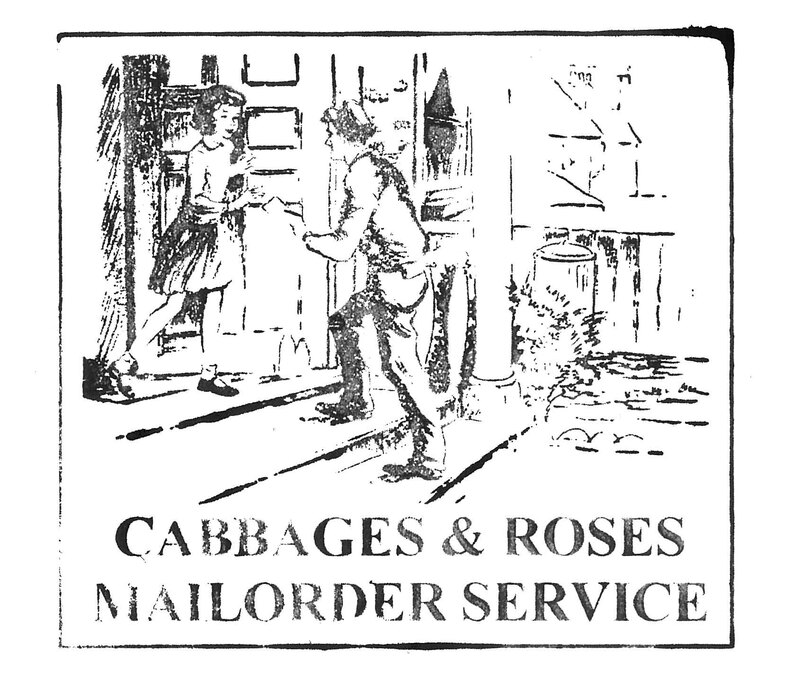 Cabbages & Roses opened as scheduled one week after the earthquake and in the face of adversity, has enjoyed much success and was singled out as one such enterprise. 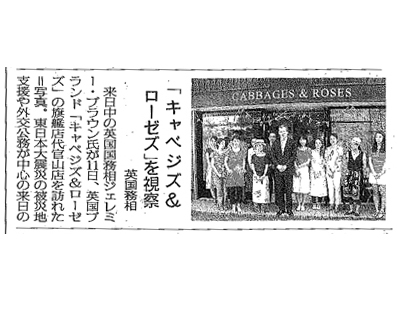 He was proudly received by our ‘Tokyo Roses’ and enjoyed a little patch of England in the Japanese streets. Commenting on the authenticity and old fashioned Britishness of the brand, he wished us all much luck for our future with our Japanese partners. We are thrilled to launch our new fabric line, The Northcote Range, with MODA at the Quilt Market in Salt Lake City, UT this week. It has been wonderful to meet all the lovely shop owners, and to see so much creativity at the show. 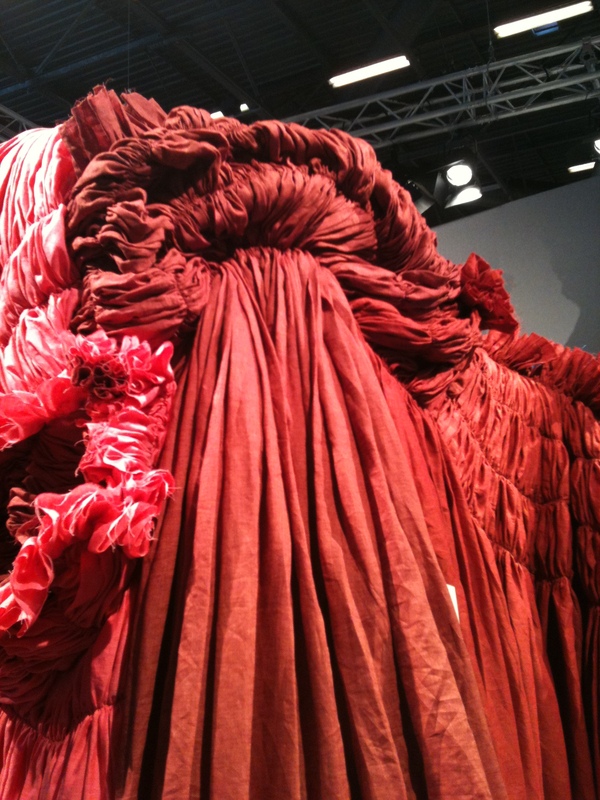 the most amazing world of quilting. To celebrate, and we mean celebrate, the enormous task of bringing to you our new website, we have decided that as a measure of gratitude to our customers we will be giving the 100th order completely free of charge. 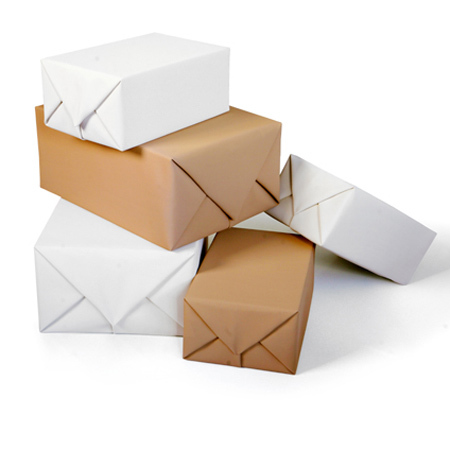 We shall contact you to let you know that your order has been dispatched free of charge. We shall also give away the 500th order free of charge; again we will notify the winner and no payment will be taken for your order. P.S. 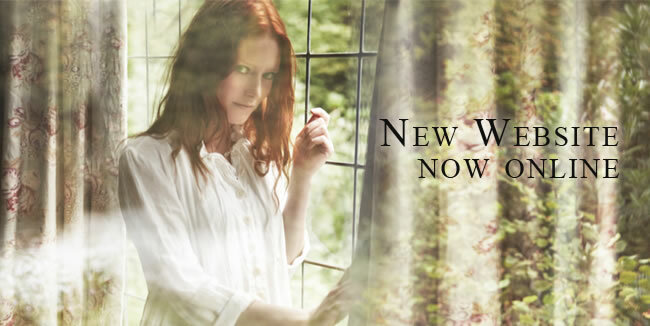 The lovely Spring Summer 2011 line is available through the new website. 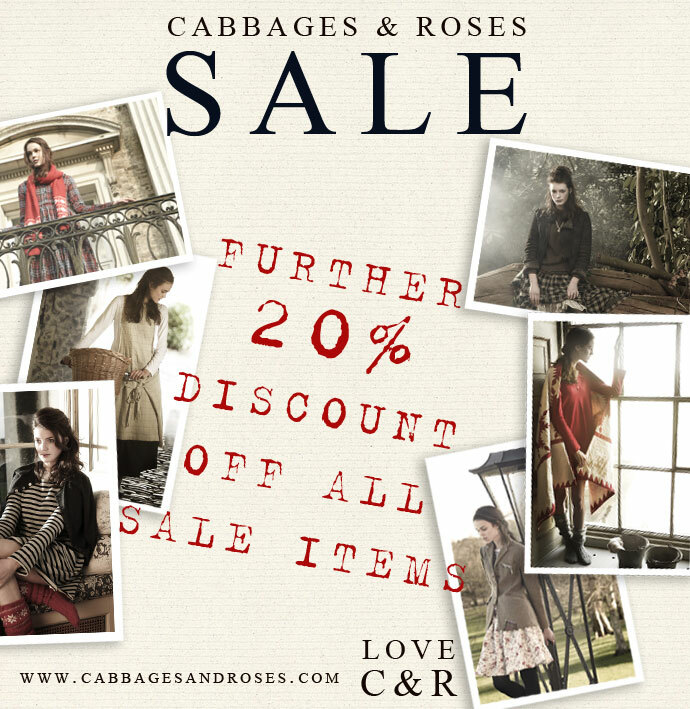 It will be joining us on-line, but we thought we would give a small preview of what is to come. 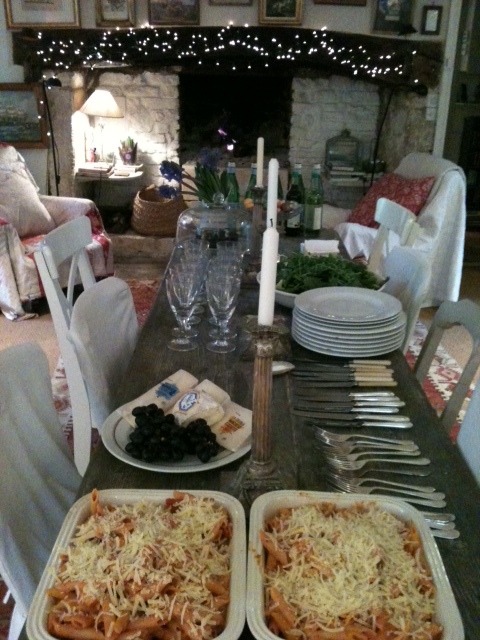 About five years ago, I was interviewed for Country Living Magazine in the USA. The interviewer was Fifi O’Neil. She was utterly charming, – we instantly became friends. I met her for the first time, two years later in New York and I felt I had known her for most of my life. We planned to do a book together, but sadly it has not yet materialized. 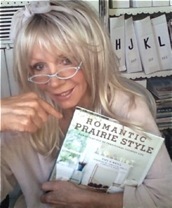 We both, however, made a book independently a year apart, here is a small interview about her new book….Romantic Prairie Style due for publication on April 15, 2011. 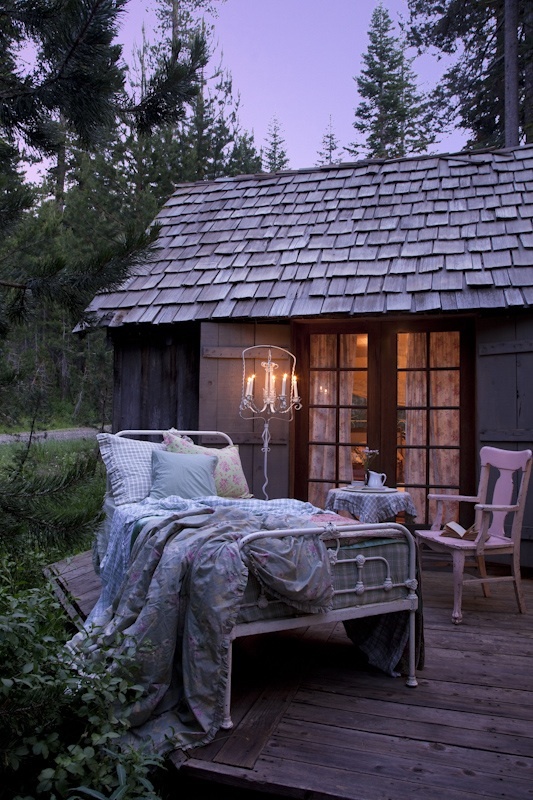 Romantic Prairie Style embraces simple pleasures, comfort and the long-cherished ideals of natural beauty, simplicity and harmony with the earth. 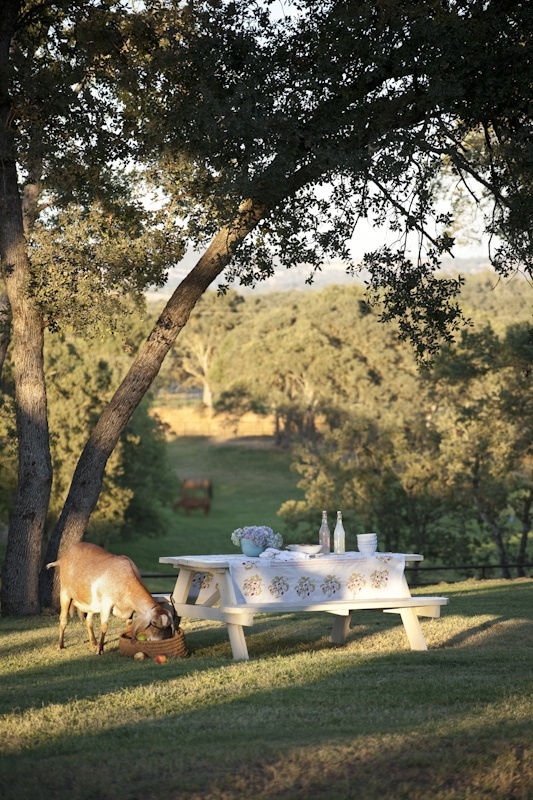 It’s a style that says ‘home’ wherever you may be because, more than anything else, it’s a mindset: gentle but strong, welcoming and lasting, durable yet sophisticated and, above all, real. Over the centuries, the humble dwellings built by European immigrants to the US in the 1880s have evolved into sturdier, more comfortable homes, which, depending on their geographic location, took on a variety of designs, be it a ranch, cabin, farmhouse, cottage or adobe. 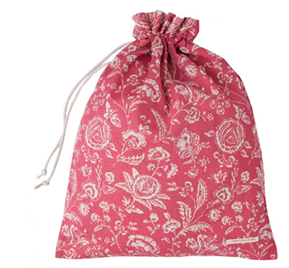 Each of these styles plays a role in prairie style and its enduring aura of romance and nostalgia. Here interiors bear the influence of European settlers and the poetry of the heart-warming authenticity of simple, natural textures, hand-hewn beams, bleached wood, weathered planks, woven blankets, cow-hide and Navajo rugs. 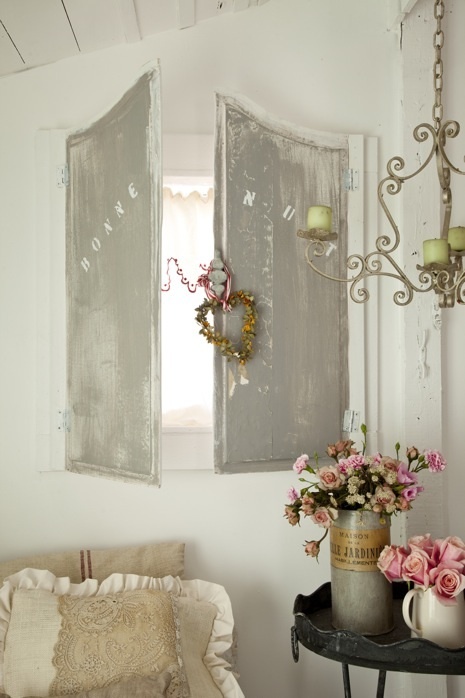 It’s a style inspired by the honesty of homespun materials of the past wedded to a flair for the present. It’s flower-sprigged brocade, tawny leather, crisp eyelet and soft linen, corduroy with crochet trims, woolen plaids, cosy flannel and wispy organza. It’s history retold and all about the enduring connection between people and places and the nostalgia we feel for a rural country life, a yearning for a simpler life, as embodied in Laura Ingalls Wilder’s Little House on the Prairie. What appeals to me about Prairie Style is that it is much more than a decorating style: it’s a way of life. One that reconnects us with what truly matters: family, home, and the earth. The global economic crisis, the emphasis on green living, and the need to escape the stressful demands of today’s life are at the root of this return to a peaceful and more contemplative lifestyle. The more unsettling the news, the more we seek the refuge of our homes and look for meaningful and economical ways to beautify our surroundings. Honest materials, artisanal goods and time-honored objects are once again valued and create homes, not just shelters. The lessons learned come together in the celebration of a wholesome life. Now, we look back to yesteryears because to understand the past is to secure the future. We embrace the present hence fostering stewardship of the land. The authenticity, poesy and healing qualities inherent to this sustainable lifestyle define Prairie Style. Traditions and preservation are its heart. The nobility of the land and the fragility of our heritage are its soul. 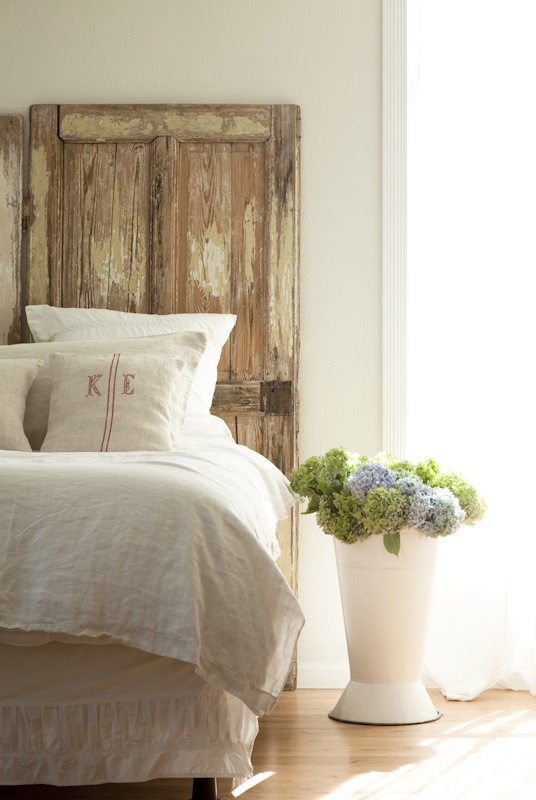 The spirit of prairie style drifts eternal in the romance of nurturing interiors and the abundant beauty of nature. These are the compelling reasons that will appeal to those who embrace these values. This decorating style is not only timeless, it’s also very timely because the upside of an unfavorable economy is that it makes us take stock, re-establish values, prioritize, and realize our potential. We look inward, not just within ourselves but within our own settings. The benefits are measurable both emotionally and physically and clearly visible. Tell us about your journey shooting the book? Where you traveled and anecdotal stories from your travels. I first went searching for the homes I wanted for the book. Then set up the photo shoots, and Mark Lohman (the photographer) and I travelled from one end of the country to the other. I styled, he shot, I wrote. Mark lives in L.A and I am in Florida. We flew and met at the various locations. The first 4 homes were in Illinois. From there we went to Missouri and Nebraska. Next came Southern California followed by Northern California (Ione and Tahoe). Then off to Maryland, Virginia and Florida. We got chased by a 3-legged dog In Nebraska. Dolly-the-Goat ate some of the props (basket of apples) in Ione where we were also warned about rattle snakes but only saw a zillion bats and where I also had my very first martini ever. Tracey and Joy (in Illinois) supplied me with band-aids for my blistered toes and Anne Marie (also in Illinois) soothed my weary bones (and Mark’s) with her secret “medicinal” gin remedy (going back for more of that magic potion in May!) and a home cooked dinner …..Drove across a creek with no bridge in Missouri………Andrea’s geese (in Nebraska) thought they should nibble at my hair…….And Mark and I nibbled on Angela’s incredible macaroons….. Also had nice “chats” with horses, rabbits, goats and chickens and more! Tell us about a few of these amazing homes, and the homeowners who opened up their homes to you. Where to begin? Of course every home was special and all the homeowners have become friends. Because of the nature of the book and their own feelings about prairie style we had an instant connection. One rooted in the same values and principals. Becoming lifelong friends was inevitable. We are keeping in touch. Marc and I will be revisiting some of these locations for book 2, though the concept is still about prairie the angle is different, hence the possibilities to shoot some of the contents in familiar surroundings. What was the best part of your adventure making Romantic Prairie? Don’t say being done – what did you love? Would you do it again? There isn’t “one” best part. From the homeowners hospitality and generosity to working with Marc, who is not only a consummate photographer but also has a wonderful sense of humor and makes every shoot fun and relaxed–in spite of the grueling schedule– and having the priceless support of the whole team at Cico Books, made the adventure an unforgettable one. And, YES, I am ready to start the follow up book. In fact I can’t wait. Marc and I are planning our schedule and looking forward to beautiful locations and ….a couple of martinis along the way…..
What was the most challenging part of your adventure? I know a lot of people would love to make a book so please share your insights with us. 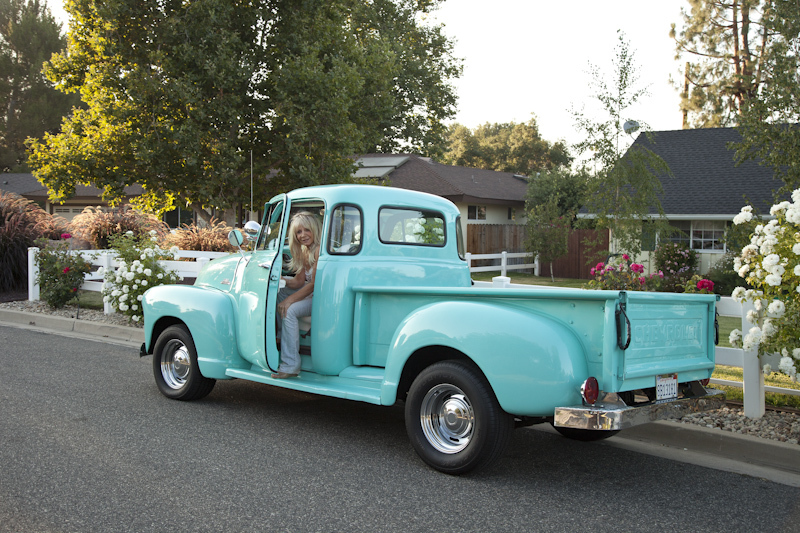 What is next for Fifi? Getting ready to go on book signing tours. Setting up next location shoots for book 2. 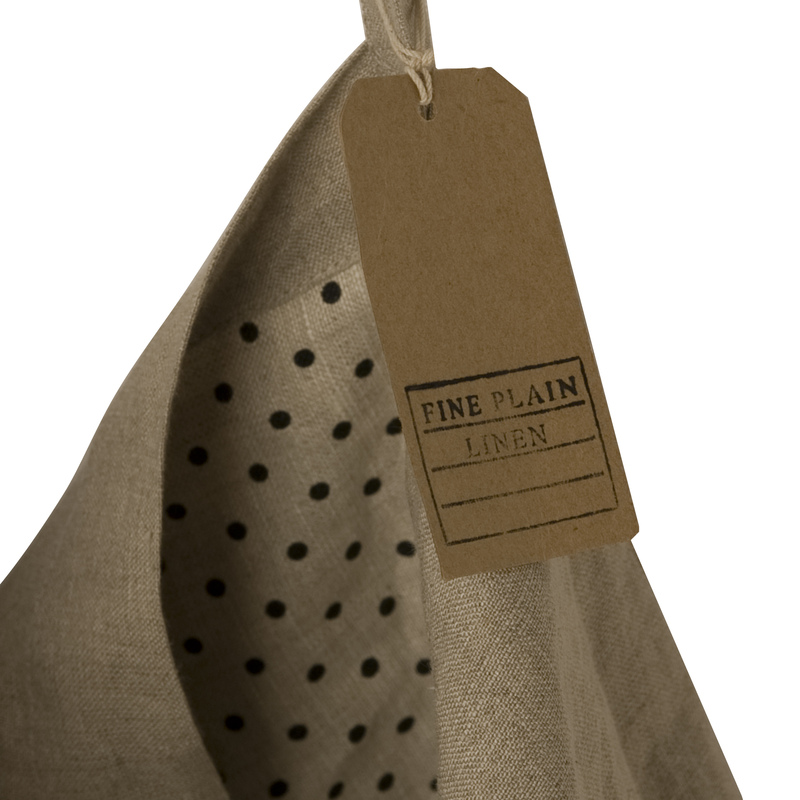 Designing a “PRAIRIE PRETTY” line of clothes and home accessories. 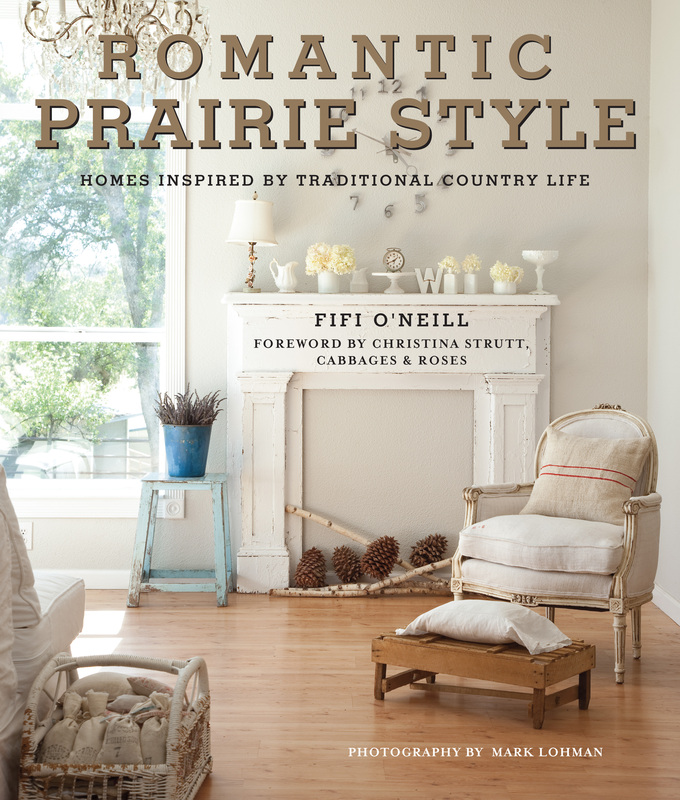 We are giving a copy of Romantic Prairie Style away to a lucky Cabbages & Roses fan, just leave us a comment telling us what about the Prairie style inspires you. Post the giveaway to any of your social networking sites; such as your blog, twitter, and/or Facebook, and you will receive an extra entry….. Just make sure you leave a separate comment for each entry. Open to US/Europe/UK viewers only. The winner will be chosen randomly on March 3, 2011. The giveaway book will be shipped upon availability. 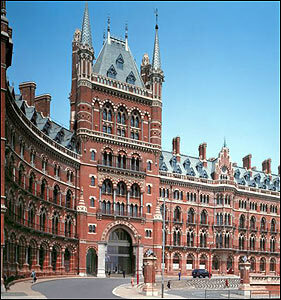 Very early one morning last week, Christina, Linda and I (Jackie) arrived at one of London’s most beautiful train stations, St.Pancras. 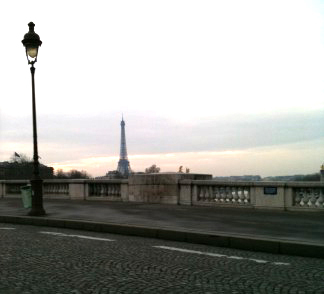 We were there to catch a train to Paris’ Gare Du Nord, where we were to spend 3 days “inspiration hunting” (shopping!!). 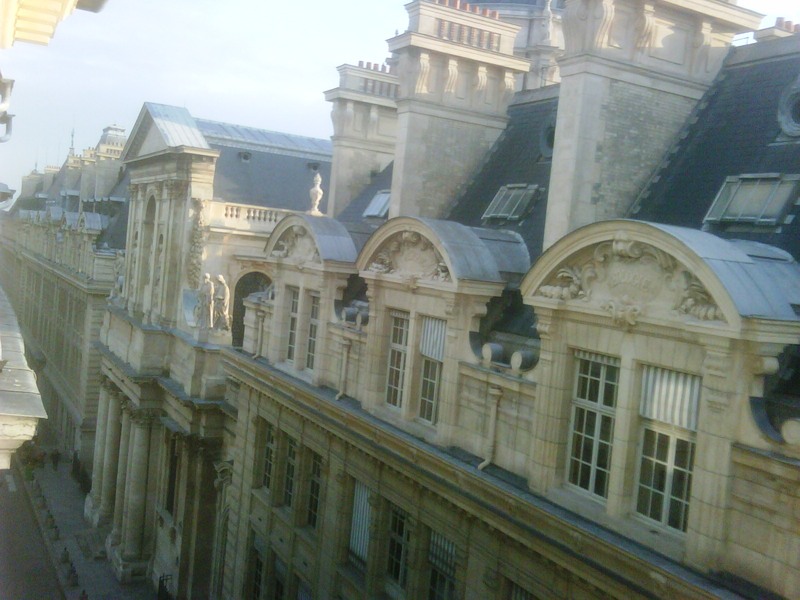 We stayed in a lovely hotel, called the Hotel Design Sorbonne. 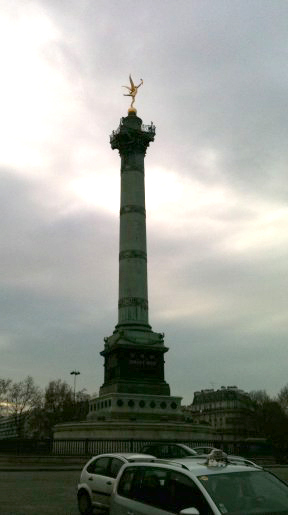 It was small, but perfectly formed right opposite the stunning Sorbonne University. Here is the view from my room window. 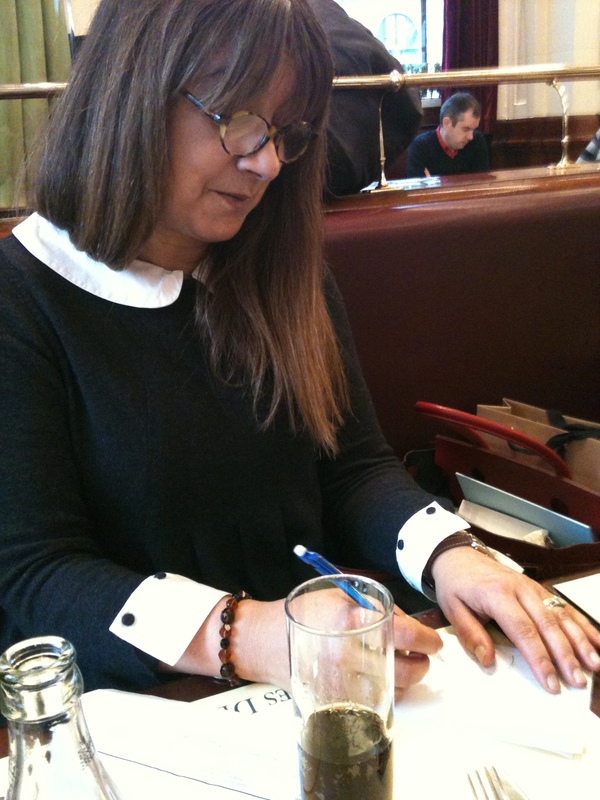 Christina used lunch times at Les Deux Magots to gather her thoughts and begin to design SS12. 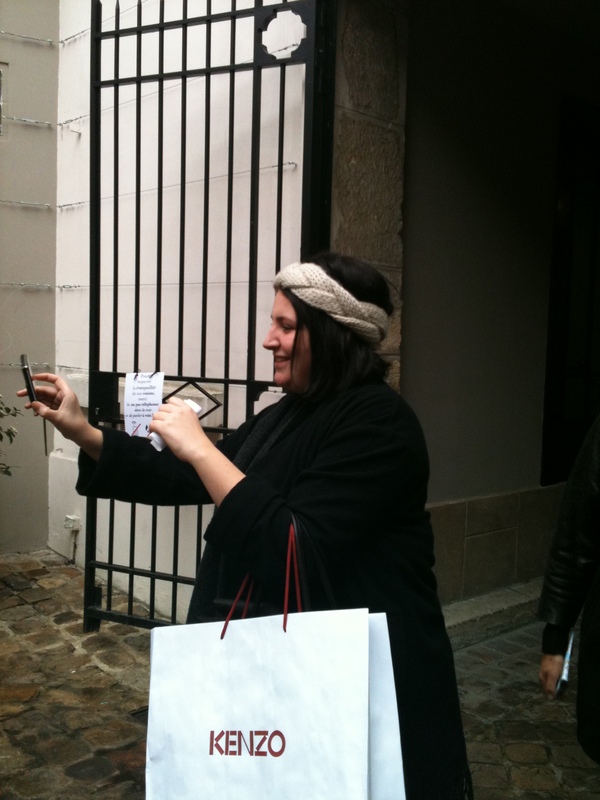 I used the time to take photos…like a proper tourist. 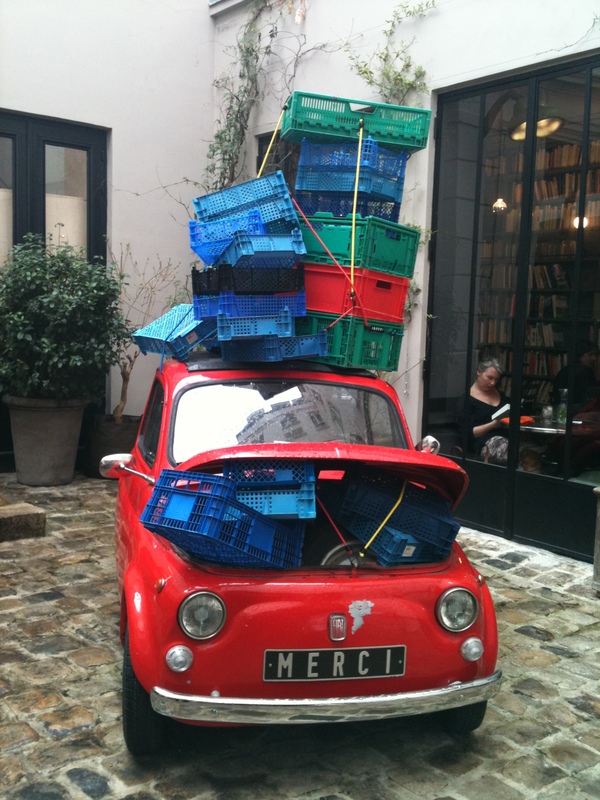 We ended our final day at one of our favourite shops, Merci, in the arty district of the Marais. They have this wonderful car outside. All in all, it was a lovely trip which left us all full of exciting ideas for the next season. and enter to win a romantic handcrafted giveaway. 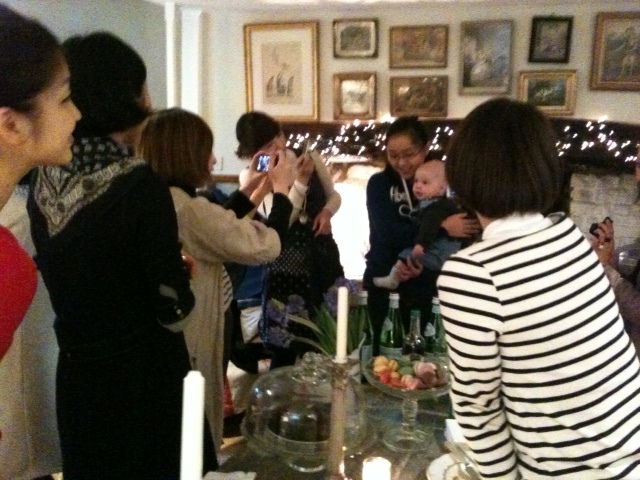 A visit from some Japanese friends fresh from Tokyo all the way to Bath! 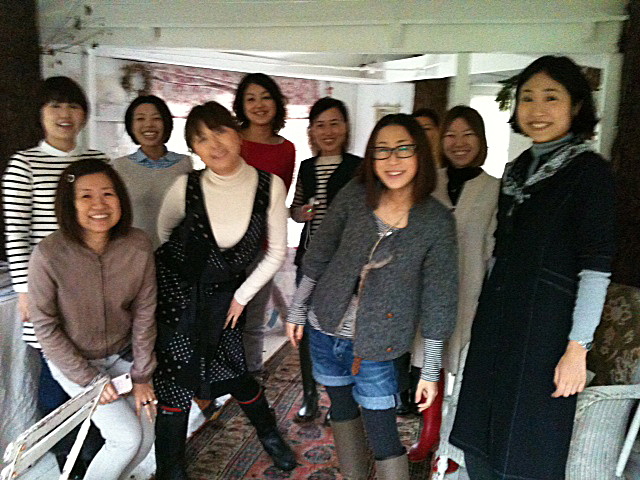 Nori brought Wakana, Maki, Yuki, Asako, Maz, Junko, Yuki, Miyuki, Kayoko, Setsuo and Kinari. 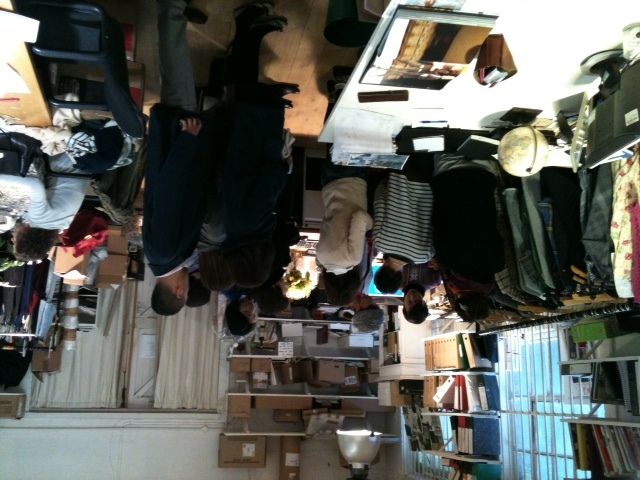 In London they visited our Langton Street store and our Avery Row store, then they visited us at the office in Kew.